Cheteshwar Pujara, you are billed as the next Dravid and I guess you knew that you were one of the luckiest persons on Earth today. Apart from completing your fifth century(congrats btw), you had the best seat in world for what’s probably going to be the last Sachin innings. I would pay anything to be in your place. To be part of this incredible journey’s final leg, watching him from the non-striker’s end and getting live tutorial for his trademark sublime straight drive. Did you ever dream it would ever happen to you? Remember, when the bowler breathes fire, he responds in kind. 38.4 : Bouncer from Tino Best @142 kmph. 38.5: Bat comes down in a flash, so does the bowler. Straight face of the bat crashing into the ball and Viola! The ball races to the boundary. Ravi Shastri would say ‘tracer bullet’. ‘Open the text book..turn to page no. 32’, explains Harsha Bhogle. I call it ‘The Calming Potion’. Steady your fluttering heart with this spectacular medicine. It works for me every time. Try it. Might help you too in future. Thousands of adoring fans who came only to watch him play, chants of ‘Sachiiiin… Sachiin’ ringing in your ears, the man on whom a billion eyes are glued on him watching every moment and craving more and much more, that man is just 22 yards away from you, smiling at you, chatting with you and bumps fist with you! Pujara, you lucky duck. I hope you learnt a lot from him today. He is the Master. Now show me the same straight drive. Excellent. Keep it going from now on. I envy you Pujara. 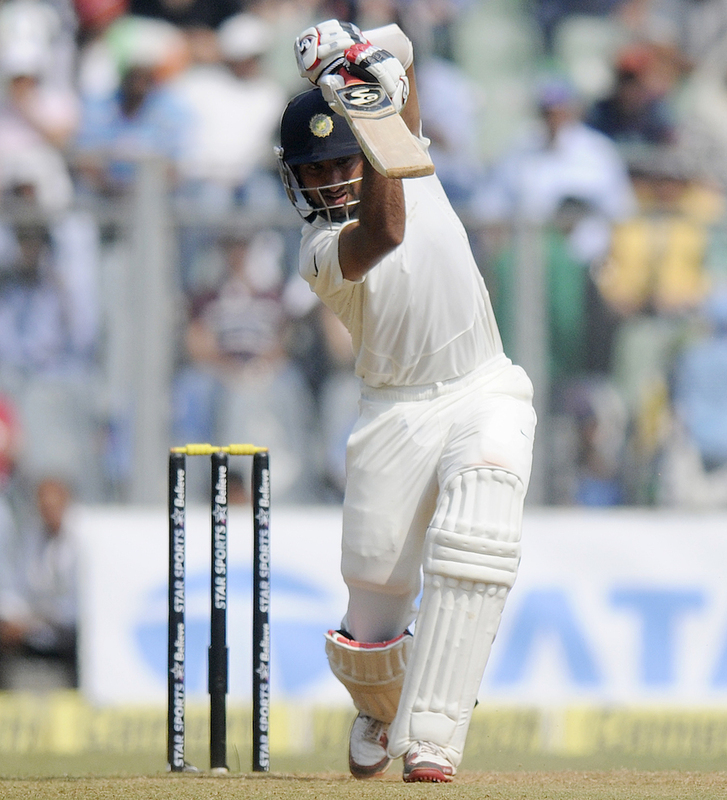 Lucky to be Pujara today, isn’t it? I wish the Windies put up a good fight so that we see GOD again. Lucky to be Pujara Today. 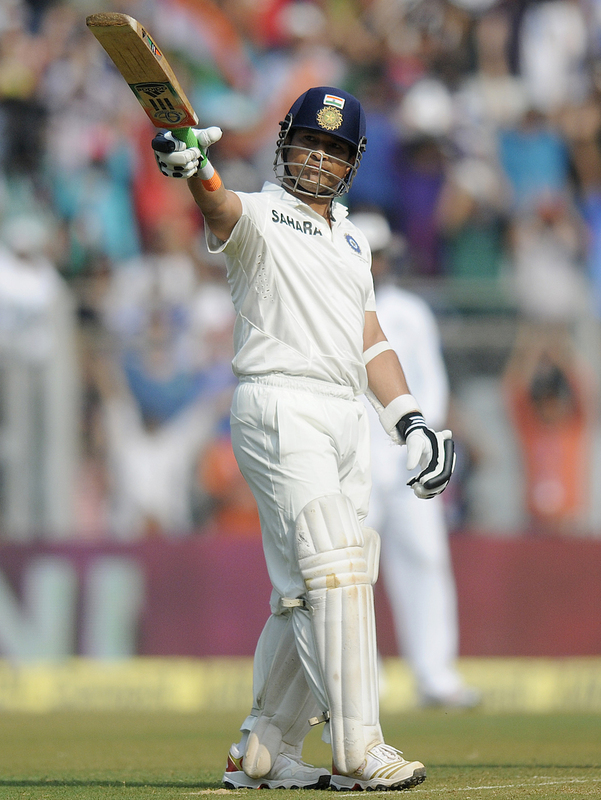 This entry was posted in Rant and tagged 200, cricket, Mumbai, Rant, Sachin, Tendulkar, Test cricket, ThankYouSachin. Bookmark the permalink.